Abp. Jackson Ole Sapit of Kenya and The Rev. Dorcas Albright of Faith Anglican Church. 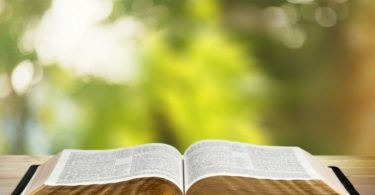 “God can do restoration, but it is the missionaries from churches found in different cultures, races, and nations who do the restorative work of God” as these representatives of the worldwide Gospel come to the United States and open American eyes to different perspectives in Christian life. The Rev. Canon William Beasley of the ACNA’s Greenhouse Movement expressed this idea to The Most Rev. Jackson Ole Sapit, Archbishop of Kenya, who is visiting the United States and partnering with the ACNA as a fellow member of GAFCON. 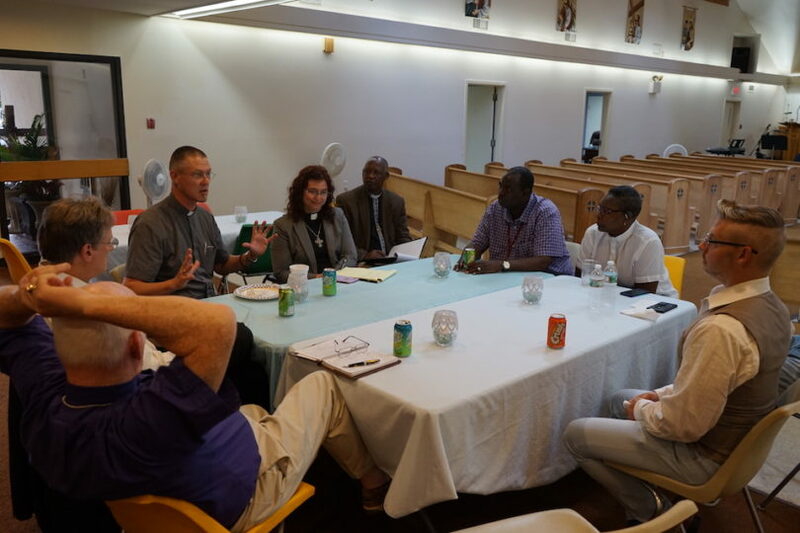 Archbishop Sapit came to New England to engage the church in a discussion on greater relations between our two churches and the integration of Kenyan-American worshipping communities across North America. The conference, which will go on for three days, is hosted by The Rev. Leah Turner of Grace Anglican and The Rev. Dorcas Albright of Faith Anglican. Bishop Bill Murdoch, Dean Nathan Baxter of All Saints Cathedral, the Greenhouse Movement’s Canon Beasley and the Rev. Keith Hartsell, and several ADNE members joined Abp. Jackson for today’s discussion. 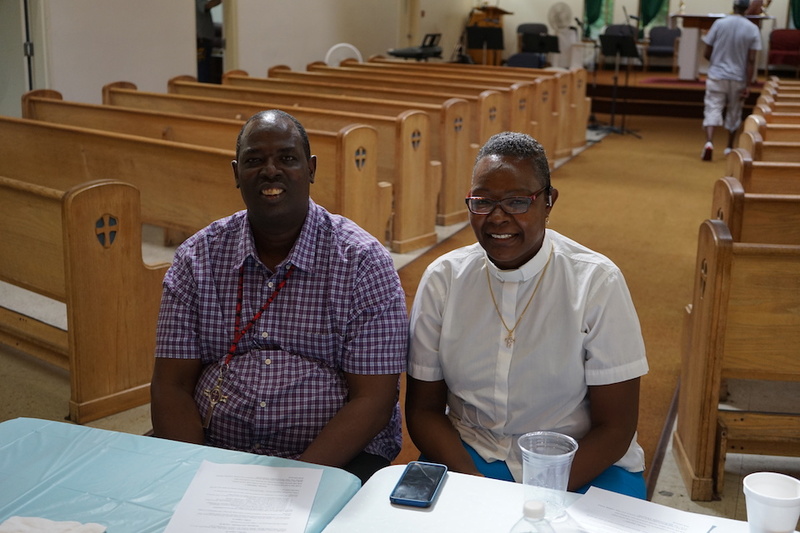 The conversation focused on the difficulties facing church leadership and development in the East African churches located in the USA today and ways to address them. How do new communities, forged in the trial of cultural dissonance, emerge with a common American identity that can still grasp the cultural heritage of their forefathers? Differences in the sacramental life of the church, ordinations, baptisms and confirmations, etc., between immigrant Anglicans in their homes of origin (particularly in East African countries like Kenya, Uganda, Sudan, South Sudan) and here in the United States, create gaps that can be hard to bridge. “In addressing the gaps,” Abp. Jackson explained, “the credibility of the church increases.” He explained that the life of the Church within Kenya itself has its own gaps that it must deal with as it seeks to bring restoration to tribal divisions, find healing and help in the midst of sickness and hunger, and develop educational opportunities for and through their worshipping communities. “The church must affect communities in ways that help them live their lives,” Abp Jackson said, “because without this, the Church will stop being available or relevant.” These needs met by the church change as East Africans move to the United States, attempting on one hand to maintain their culture and on the other hand to fully integrate into American culture. These needs are often made difficult to meet by many in the American church who do not understand the culture that immigrants are coming from or the difficulties they face while engaging American society. 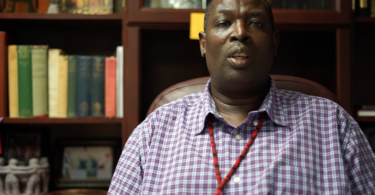 As the ACNA develops a way to move forward and integrate East African churches into its growing Anglican fellowship, these concerns come to the front of the line as church planters and growers face immigrant communities that are not only dealing with isolation but also internal divisions along generational lines. The answer lies in developing our common understanding of our common mission for our common Lord in Jesus Christ. “None of us are in this alone,” Abp. Jackson said. “We are on a journey together.” That common journey is what unites those from various backgrounds with a common purpose, making way for discussions that help us better focus on mission together despite our differences. As the Church in Kenya partners with the ACNA in bringing this unity of the faith to East African-American communities, it is evident that the common journey to heal wounds, unite factions, and express our faith in Jesus Christ transcends national borders. GAFCON provinces and the Anglican Global South are leading the charge in the Communion to do just that as together they seek reconciliation, truth, and the transformation of people, communities, and nations through the Gospel of Jesus Christ.